August is almost over—hell, 2017 is almost over. Where has the time gone? Before we know it, we will be ordering Halloween costumes (perks of living overseas, *insert eyeroll*), prepping the menu for Thanksgiving, buying presents for Christmas, and scheduling a bounce house for El’s second birthday. Skkkkrrrrrrrrt, what? This past Saturday, I found myself comfortably seated in a small, one-room restaurant run by a pleasant Japanese man, surrounded by friends. There was no English in this building–on the menu, on the signs, floating from the voices nearest us. I paused for a few moments to take in my environment and found myself completely intoxicated by the laughter, the energy, the cuisine, and the homeliness of this humble eatery. For the first time in the three years we have called this island home, I felt at home. My favorite thing no matter where we have lived is one constant: mom-and-pop shops. I love little hole-in-the-wall places, whether for shopping or eating, or even just hanging out. Those small businesses take me back home to our small farming community where everyone knows your name. It is a bit of familiarity in a new place and always makes settling so much easier. Here in Okinawa, we have struggled to find familiarity. This tiny island holds so many beauties, but a major downside is the amount of tourism that influences artificial culture, designed to comfort foreign taste. 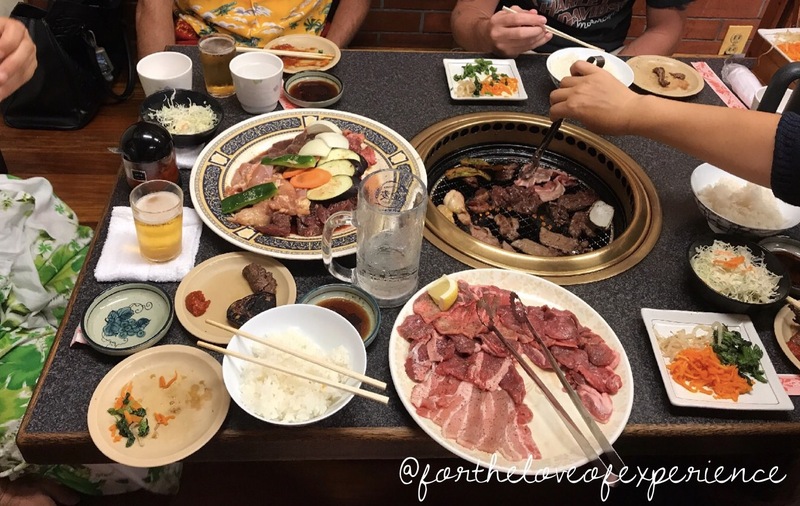 The endless chain restaurants, chain stores, and attractions often mask the finer nature—sea breeze rustling through sugarcane fields, cornerstore bake shops, and one-room yakiniku grills that only entertain 20 folks at a time. I digress; finding these quaint establishments remind me that I have failed to enjoy the smaller things in life, and that I should probably reel back, breathe, and enjoy the ride. I’m reminded that those text messages I didn’t answer are fine. Look, I really want to let everyone know we are okay. 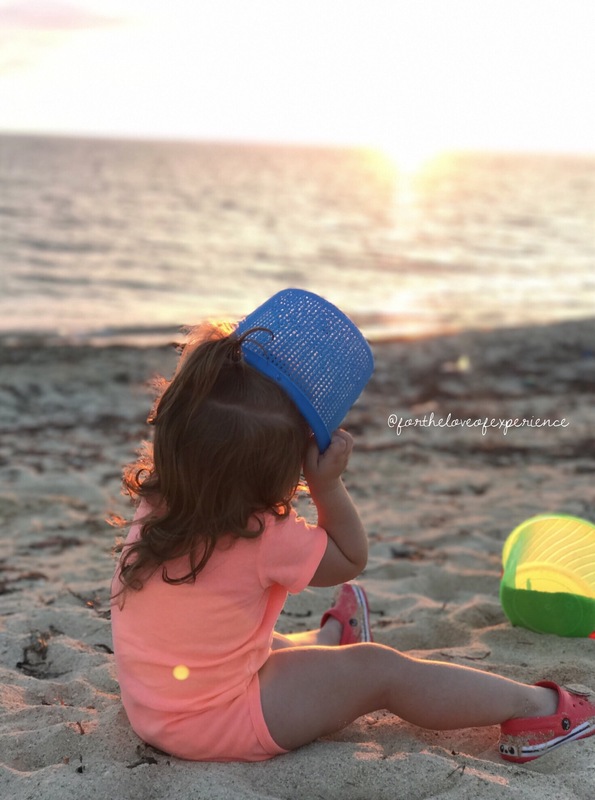 Life has been treating us rather well, but I would much rather spend the two ounces of free time I do have staring at my toddler than stuck in my phone responding to and firing off messages, and if not that, my husband requires affection at some point. Being a mom is hard, yo, give me a break! I’m reminded that the e-mail I forgot to respond to is okay. Refer to bullet one. I feel like deep-down, e-mails were created to sit there and wait for when someone actually has time to respond to them–just like text messages. Alas, in our technologically-obsessed society, the text message has become the new phone call, and heaven-forbid we have the “read receipt” sent off with no intention of generating a reply. I’m reminded that I am in control of my journey, despite the face that everything around me seems influenced by the need for money, the drive for success, and the satisfactory emotions of my friends and family. Pressure is good, as without it, we wouldn’t understand the pleasure of success, but sometimes the distress overpowers the eustress, and we are only left with anxiety and depression. Conquering these preliminary issues before they blossom into full-blown tragedies by maintaining control will remind you that at the end of the day, this is your decision, your family, your life—you. I always thought: I’ll go to college, get my dream job. I’ll be all-figured-out, meet the boy that becomes the husband and then the father, and it will just be benevolent and grand. But then, life happened. Truthfully, nothing worth doing ever happened within your comfort zone. Growing up, I always unintentionally thought “home” was where your heart is. Turns out, its so much more than that. It’s what your heart experiences. My husband and I always search out the mom and pop shops when traveling. It usually has the best food and trinkets!